Key Bak Pin n Chain 24"
Home > Belt Keychains & Snap Clips > Chains for Carrying Keys > Key Bak Pin n Chain 24"
Quantity Discount Price shown is per Display Card of Each. 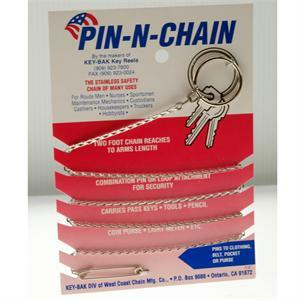 24" Stainless Steel chain attached to a safety pin. 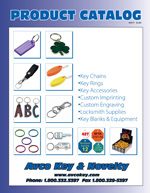 Carry keys and other items securly and available.